For more information on policies and frequently asked questions please consult our user policies and FAQ document below. FactSet Mobile app for Android, iPhone/iPad, and Blackberry. For subscribers to FactSet only! Bloomberg mobile app for Android (Smartphone | Tablet), iPhone/iPad, Blackberry, Windows phone. For any questions or to schedule an appointment, please email us. What Is The Financial Research and Learning Lab? 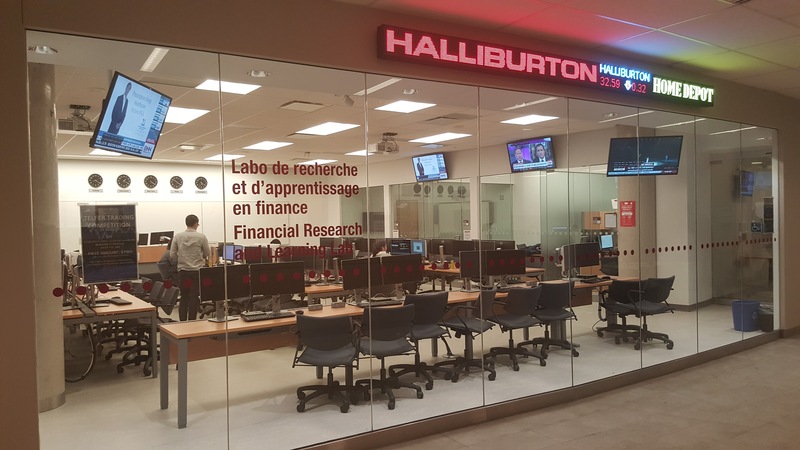 The Financial Research and Learning Lab is open to all students at the University of Ottawa. 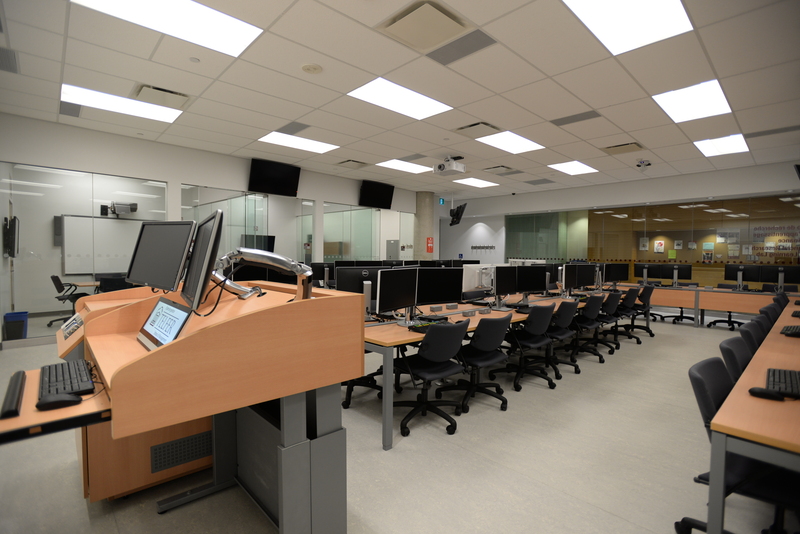 The space is a high-quality and technologically advanced learning environment and data resource centre used to support research and experiential learning at the University of Ottawa. The Lab is designed to emulate a professional trading lab and houses real-time industry-standard products from public and private sector environments where finance is practiced, which includes access to Bloomberg. These resources have been integrated in many of the capstone and mandatory finance classes at both the undergraduate and graduate levels as well as extracurricular programs, workshops and competitions. The Lab is a lively learning and social hub for students interested in translating classroom theory into practical skills they can leverage into a career in financial services. The Lab also provides access to a wide range of data that is company specific or that pertains to the capital markets as a whole. All training, teaching, and research activities for the lab are supported by the Lab Manager and a team of student assistants.